Despite being protected by law for nearly one hundred years, the arctic fox is still one of Sweden’s most endangered mammals. 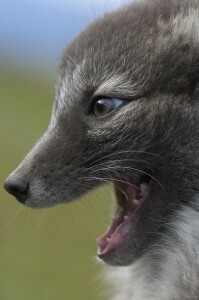 And when the STF Helags mountain station launched its Arctic fox safaris a couple of years ago, tourism was accused of possibly disturbing the rare animals. However, scientists and wildlife watchers helped design a controlled, serious and successful ecotourism product in favour of visitors and the arctic fox alike, reports the Nature’s Best website. Over time, the criticism silenced and the Helags safari business has become a huge success in efforts to preserve the arctic fox. Mountain station manager Erik Gardfall tells why: “It’s all about how the business is organised and to make sure it is based on the best available knowledge. 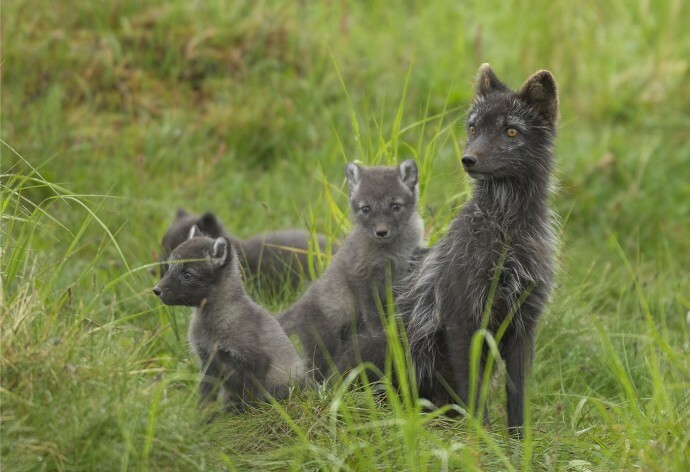 We have been working closely together with the area’s rangers and experienced researchers from the Arctic fox project. Together we set a standard for the tours; a maximum of two visits per week and a maximum of eight people at a safe distance of 300 meters from the den.” “After three seasons, we have noted that this den has been one of the most successful in terms of new puppies. There are no certain explanations as to why, but presumably the regular and controlled human presence has had an inhibitory effect on the arctic fox’s main natural enemies such as the golden eagle and wolverine. Hopefully our tours have also made the sometimes intrusive nature photographers to think twice”. After three successful seasons, the safaris at Helags mountain station has contributed with nearly EUR 10 000 to support the Arctic fox. Everyone involved agrees that the key for the success is the close cooperation, the dialogue and the fact that different interests are represented, including nature surveillance, research and tourism. Nature’s Best is the Swedish national quality label for ecotourism and was launched in 2002 by the Swedish Ecotourism Association together with VisitSweden and the Swedish Nature Conservation Society.